If you’re like me, you probably save a host of wonderful HD movies to watch on computers or phones – there’s no other place, actually, you can play back videos freely and share with others in this way. The problem is that our watching list is changing all the time and we have to replace old videos with new ones, since the storage capabilities of all our devices are finite. Digiarty Software hopes to better serve movie and music fans with its MacX HD Video Converter Pro for Windows, an awesome tool for converting video, compressing videos and audios that make your experience a real pleasure. Even better, they offered ten free licenses of this video converter software to me to give out to our Tech-Wonders.com readers. 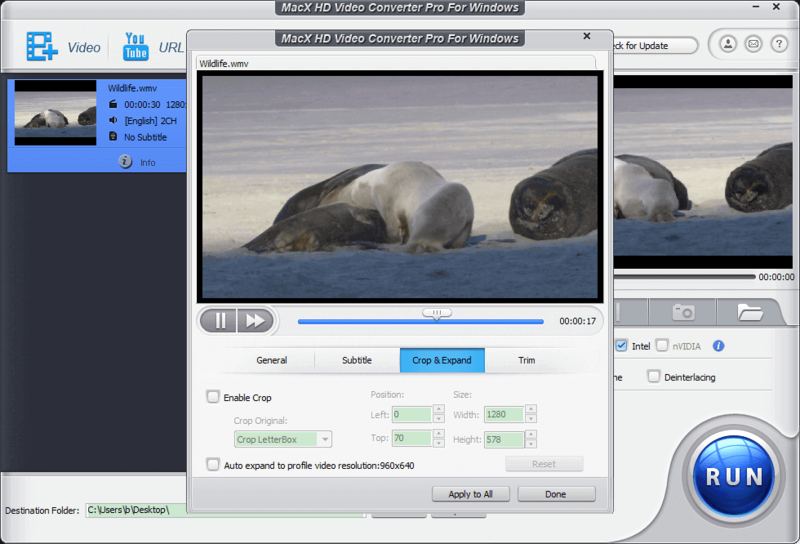 Read on to know what MacX HD Video Converter Pro can do for you and how to enter this pro video converter software giveaway. MacX HD Video Converter Pro for Windows runs on PC, including the computers with the latest Windows 10 system. Supporting over 350 video and audio codecs, it can convert multi-track HD videos M2TS, MTS, TS, AVCHD, MKV and even 4K/8K UHD videos to almost any format you prefer. Output option is very important, where such kind of video converter utilities must strike a balance between usability and speed. MacX HD Video Converter Pro for Windows is exactly a glistening jewel of a video converter. It has a slew of output video formats and preset profiles perfectly for latest iPhone SE/6S/6S Plus, iPad Pro/Mini 4, Android Samsung GS7 edge, Lenovo Pad, PS4 etc. for you to choose the best output settings. Optimized by multi-core CPU utility, hyper-threading tech, Intel QSV and Nvidia hardware acceleration technologies, MacX HD Video Converter Pro for Windows performs tasks at a rapid speed without hampering the quality. Edit/Trim/Cut/Merge/Subtitle Videos at Ease. Choose video segments by trimming, remove any unwanted areas by cropping, create multiple videos into a new one by merging, add subtitles and even personalize your video by watermarking. This video converter software is also loaded with video editing functions, such as trimming, expanding, adding subtitles to video and a preview that shows the change you’ve made towards the video. Elsewhere there are settings for customizing, including frame rate, resolution, aspect ratio, as well as sample rate and bit rate. These can be useful for video editors of different levels. MacX HD Video Converter Pro for Windows helps you personalize your videos quickly and easily, with a minimal learning curve. Once you know MacX HD Video Converter Pro for Windows, it’s exceptionally easy for you to use it. MacX HD Video Converter Pro for Windows can download YouTube video free and covert YouTube video to AVI, MP4, MOV, etc. Although the converting software doesn’t throw a wide variety of menus or tabs at you, it’s fairly powerful. You can download online videos from YouTube, DailyMotion, Vevo and other 300 video sharing sites. The program will analyze and download the video automatically once you paste the link, without requiring activation of any third-party program. Additionally, MacX HD Video Converter Pro for Windows is embedded with a photo slideshow maker that will helps you turn photos into a stunning video slideshow and transfer to your devices within minutes. Tech-Wonders.com readers only need to follow the following instruction to enter the giveaway. Share this post on Facebook, Twitter, Google+ or other social media sites.